Rheumatoid Nodules. 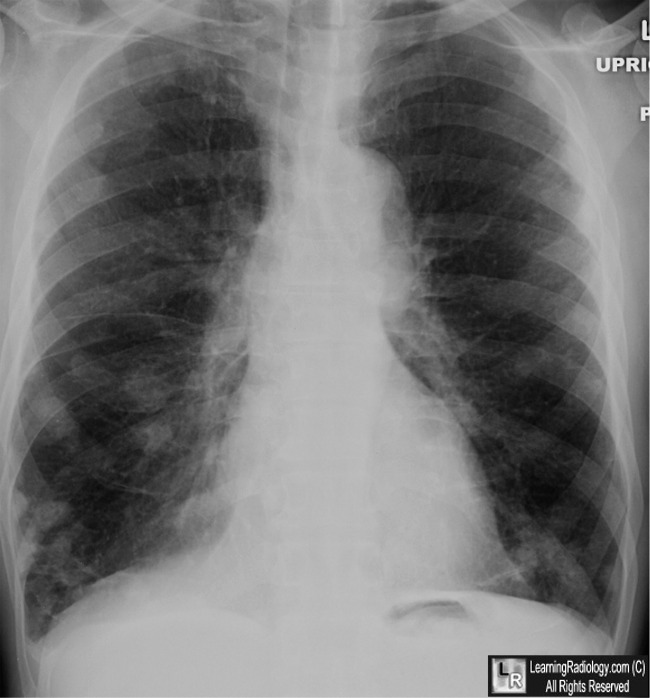 Above: Frontal radiograph of chest shows innumerable nodules scattered throughout both lungs (white arrows). Below: Two images from a CT scan of the chest show the nodules are mostly subpleural in location (yellow arrows). Patient had a long-standing history of rheumatoid arthritis and nodules were unchanged for 6 years. Rheumatoid nodules: differential diagnosis and immunohistological findings. EM Veys and F De Keyser. Ann Rheum Dis. 1993 September; 52(9): 625–626.